It's got stellar benefits, flexible work, and soaring challenges that make SpaceX look like a burger joint. You've even got a great resume. That shining future is well within your grasp. The position needs an engineering cover letter. But write a generic one and the hiring manager will skip it, and your resume. If we can put a man on the moon, we can find a solution to this problem. In fact, there's a road-tested way to write a stand-out cover letter for engineering jobs. One that'll get your resume read as excitedly as specs for a working fusion reactor. An engineering cover letter example better than 9 out of 10 others. Proven templates to make the best engineering cover letter in the stack. How to write an engineering cover letter step-by-step (even if you have no experience). How to describe your experience in a cover letter for engineering internships and get any job you want. Here's an engineering cover letter sample and a matching resume. Want to write your engineering cover letter fast? Use our cover letter builder. 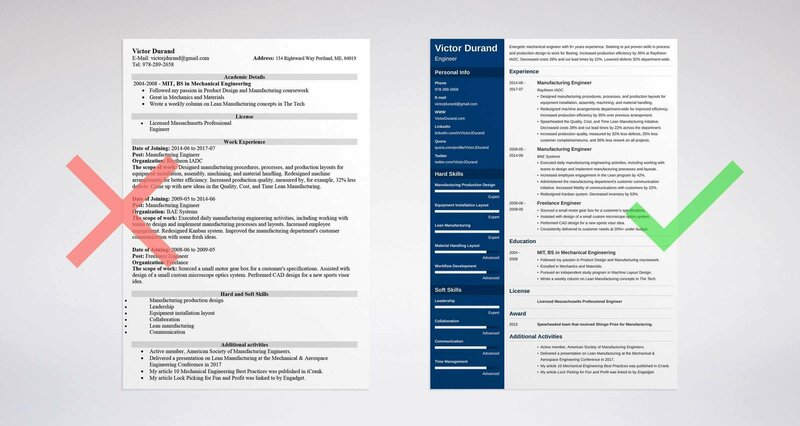 Choose from 20+ professional cover letter templates that match your engineering resume. See actionable examples and get expert tips along the way. Engineering Cover Letter for a Resume—See more cover letter templates and create your cover letter here. The engineering cover letter sample above is picture-perfect. So, here's the text of that great example cover letter for engineering. Feel free to copy, paste, and meld it to your needs. Leading the team that increased production efficiency by 35% in Raytheon IADC Metal Fab was one of the proudest events of my life. Your opening in engineering at SiniTrode Global is the logical next step. With ten years of experience in engineering, I'm certain I can reproduce those results at SiniTrode. More importantly, your mission to deliver the world's best artificial hearts is incredibly motivating, especially since I lost my father to a heart attack when I was ten. Can we set aside some time to discuss how my achievements at Raytheon and BAE can translate to real customer success for SiniTrode? PS—I'd love to explain how I helped cut inventory 52% at Callaway Golf. Bam. The hiring manager will hold her breath as she reads Frank's resume. Let's deconstruct that great sample engineering cover letter. Then you can write your own that's just as powerful. There's a slim chance that anyone will even read your technical cover letter. Most recruiters don’t read cover letters. See, most cover letters are generic. They say, "Here's my resume. Please read it." If you write a "To whom it may concern" cover letter for engineering jobs, you can kiss that golden interview goodbye. Start with the Right Heading. Name, title, email, and phone. One for you, and one for the manager. You can skip the snail mail address in email cover letters. Use the Right Salutation. "Dear [Hiring Manager's Name]" is perfect. "Dear Engineering Team Hiring Manager" will do. Add a Mouthwatering Opening Paragraph. Tell a quick story with a specific detail: An impressive achievement that fits the job to microscopic tolerances. Want to see how that works? See these two electrical engineering cover letter examples. I'm an engineering professional with 10 years of experience. I'm writing to apply for your engineering position, which you advertised on Indeed. That fails QC. It's generic. It doesn't tell the manager a thing. Two years ago, if you'd told me I'd lead the team that cut customer complaints at HID by 55%, I'd never have believed you. (There's your big achievement, and your gripping story.) Today, the engineering opening at SiniTrode seems like the perfect fit for my experience and skills. That first sentence in a cover letter for engineering's is better than free Mathcad. The hiring manager will skip her kid's birthday party to call you. It shows a glimpse of superhero cape beneath the glasses and brown suit. That's exactly what the hiring manager is looking for. What if you don't have a great achievement? In short, what if you're writing an engineering internship cover letter with no experience? Just focus on your best achievement. Maybe that's an attaboy from a professor. Maybe it's a side project you completed, or a transferable achievement from a non-engineering job. Don't use "Miss" or "Mrs." Use "Ms." instead. It avoids marital status. Work hard to learn the hiring manager's name. Fully 84% of hiring managers skip resumes and cover letters that don't use their names. Add your LinkedIn profile to your contact info for bonus functionality. OK, so your engineering cover letter is off to a good start. The hiring manager is excited. I can hear you now. "Dammit, Jim, I'm an engineer, not a salesman!" The top 5% of engineering intern cover letters custom fit their message to the opening. The object is to show you're already a da Vinci at this job. How to tailor your cover letter? Highlight the engineering skills and duties in it. Demonstrate your understanding of those qualities. Cherry-pick a couple past achievements that match them perfectly. 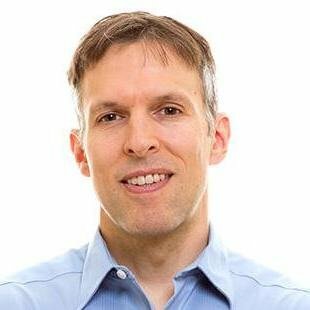 Add a "motivation statement" that shows why you'd work extra hard. Here's how to do it right. The mechanical engineering cover letter examples below are targeted to senior and junior positions. Let's say the job ad asks for fostering engagement, cutting costs, and lowering defect rates. Thanks to my ten years of experience as a PE, I've little doubt I can achieve similar success at RetsiGen. I'm intensely motivated by your mission statement to deliver constantly improving digital solutions to customers. Can you imagine a manager who wouldn't want to hire that applicant? If so, he probably writes with his tongue out. Notice the bullet points. They respect the hiring manager's time. How? By showing her the important info in a quick, sharp way. Don't have that much experience? Don't worry. Just look at the sample engineering internship cover letter with no experience below. That's no rookie engineer with no experience. That's Nikola Tesla in the rough. Analyze the company's needs. Then prove how you can fill them in your cover letter for engineering internships. Pro Tip: The motivation statement can make the hiring manager decide to call you. Convince her why you'll outwork the rest, and you're as good as hired. 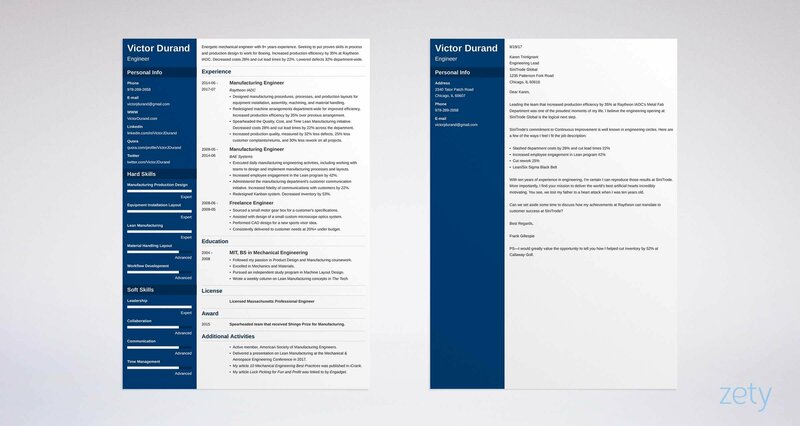 Engineering Resume Example - See +20 resume templates and create your resume here. How long should a cover letter be for engineering jobs? That depends. See our guide: How Long Should a Cover Letter Be? What good would the Falcon Heavy be if it never lifted off? About the same as a cover letter for engineering without a solid ending: not much. So, end your cover letter so the manager can't possibly forget it. Close with a "sincerely" synonym. Add a PS with another tantalizing achievement. If you hire me, I'll be a great employee. Please call me as soon as you can. That machinist cover letter ending comes off needy. The hiring manager is picturing a whiny employee who's hard to please. Can we schedule some time to talk about how my success at AlphaNode Solutions can translate to real value at GlobalPhan? PS—I would value the opportunity to tell you how I cut rework at AlphaNode by 18% in one month. "Holy cow, this applicant is switched on like the Hadron Collider! I can't wait to talk to him!" The difference? That example is offering to give, give, give. At the very least, you're promising an interesting conversation. Pro Tip: Why does "PS" work so well? It pulls the eye like the strong nuclear force. Even the busiest hiring manager will read an achievement nested in a PS. What's the key best practice in writing a great cover letter for engineering? To do that, read the engineering job description carefully. Really learn the company's needs. Then, analyze your past. Find evidence that you're the Alexander Graham Bell of all those qualities. Show those items in your engineering cover letter's opener, main body, closing, and PS. Add a motivation statement to show why you'll work harder than the rest. Do you have questions about how to make a good engineering internship cover letter? Want to share an example of an engineering cover letter that worked for you? Give us a shout in the comments. We’d be happy to reply! The only software engineering cover letter guide you’ll need. See sample software engineer cover letters, actionable examples, and expert tips. Follow a foolproof step-by-step cover letter writing formula and have a software engineer cover letter better than 9 out of 10 others in no time. Read more and land your next job! A civil engineering resume sample that gets jobs. Get 20+ great examples and job-winning tips from our experts. Read our complete guide to writing a professional resume for civil engineerings: highlight your civil engineering skills and achievements, get a lot more interviews, and kick-start a new engineering career!